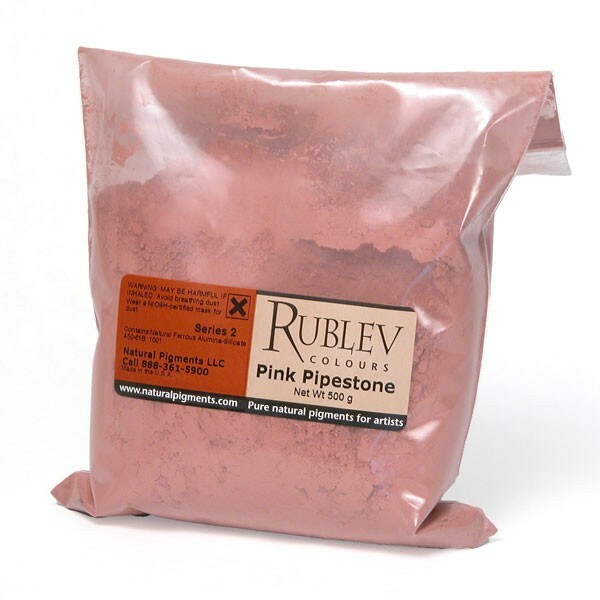 Details Rublev Pipestone, is a pink clay from Minnesota; the clay stone was carved by Native Americans into pipes and also used as a pigment. 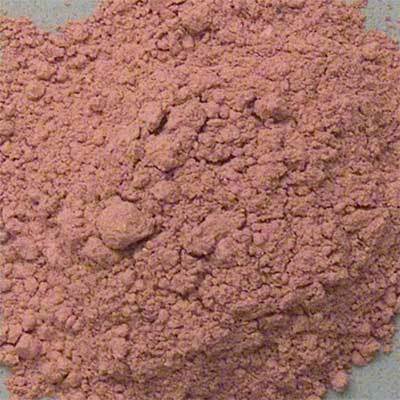 Pipestone, is dull red or pink clay stone, carved by Native Americans into pipes. Called calumets the pipes were used extensively in ceremonials. Native Americans held pipestone sacred, and even in time of war the quarries were regarded as neutral ground. Pipestone is sometimes called catlinite, for the artist and author George Catlin, who lived among the Native Americans. 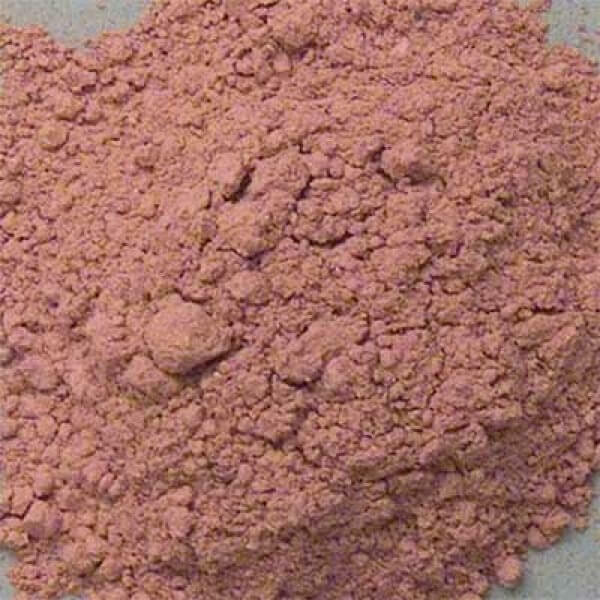 Rublev Pipestone is from quarries in Minnesota, United States and is a soft pink color. Pipestone is found mainly in Minnesota, in the Dakotas and in Canada. Pipestone, Minnesota, and the Pipestone River in Manitoba, Canada, are named after the stone. Pipestone is permanent in all mediums; the principle coloring agent is iron oxide (hematite) that leached into clay beds. There are no known incompatibilities. Pipestone absorbs a moderate amount of oil and is a soft pigment that easily combinesl with both water-solved and oil-based vehicles. Pipestone is not considered toxic, but care should be used in handling the dry powder pigment to avoid inhaling the dust.